Nuvo Menu Do you want to do more food delivery? Start selling food online. Use the Nuvo restaurant menu theme, which will show your customers an attractive menu in an easily readable list format. Take advantage of a WordPress theme menu Do you want to run an online food ordering system on your restaurant website? Use the Nuvo WordPress menu and start selling online. Thanks to the Wordpress menu plugin the template is very simple to implement, and you will be able to start earning faster. A list of menu options enhanced with photos The Nuvo menu theme uses a traditional list enabling you to clearly include all the ingredients of a dish. You can also add photos, which will be visible to the left of the list. In this way, you encourage the customer to place an order with you. Adapt the template to your website You can easily tailor the WordPress theme menu to your own restaurant website. It will become an integral part of it. Nuvo will showcase all your menu options and categories brilliantly. Use the dedicated CMS SuperHeroes template. Let customers order online Your customers want to order food online! The Nuvo WordPress menu template will allow them to do it -- simply and quickly. 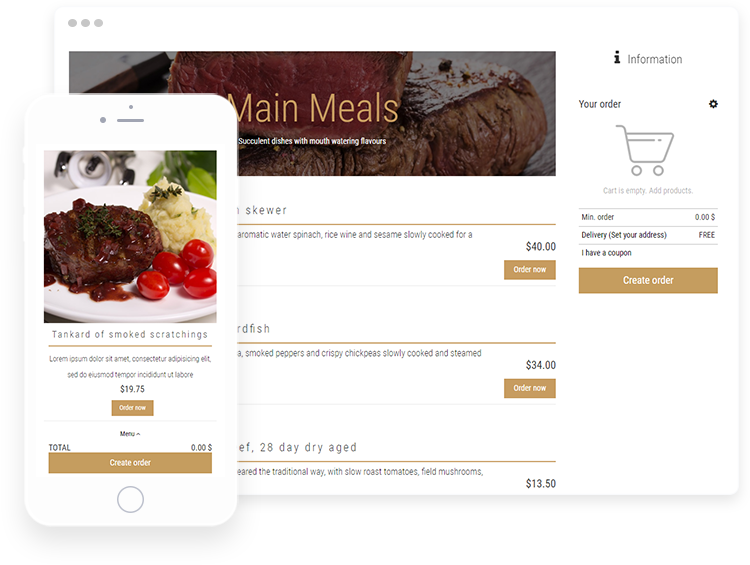 The intuitive menu layout will make ordering really fast, so your customers will come back for more.